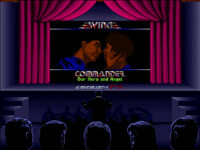 It's Wing Commander I & II Day! 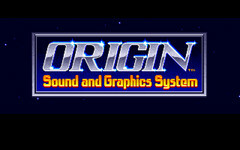 As regular visitors know, when GOG releases an Origin game release we like to pull out all the stops and celebrate that title. 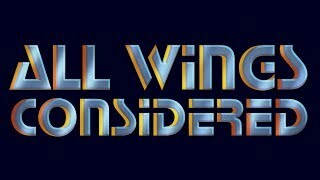 So, while it's not August 10th it is Wing Commander I and II day! 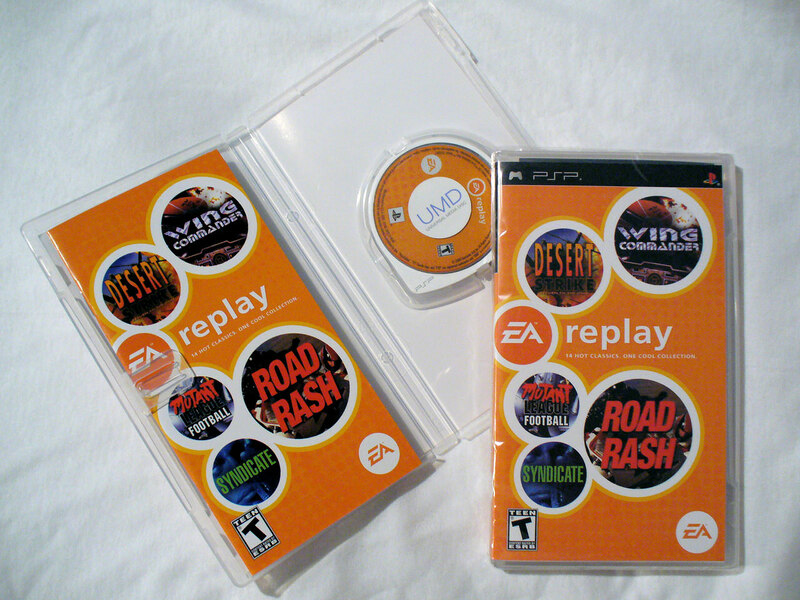 Check back all through the day for updates about the history of these two incredible games. If you missed past parts of this series, be sure to check out Privateer Day, Crusader Day and and the Ultima Underworlds Day! 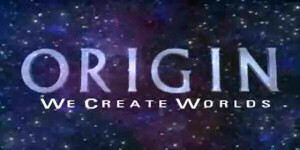 And here's to many more Origin days ahead! 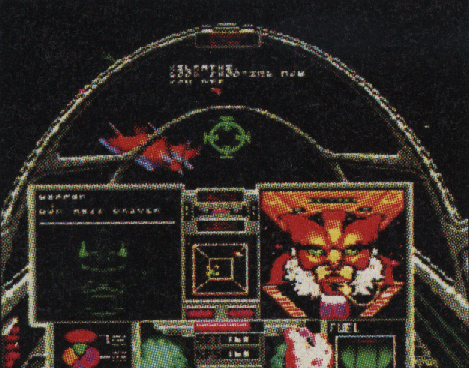 The first indication the public had Wing Commander was on the way was this teaser image, which began to appear on the back of some Origin catalogs in early 1990. The game didn't even have a name yet--it wouldn't for a while--but Origin clearly recognized that they needed to get the buzz started early. 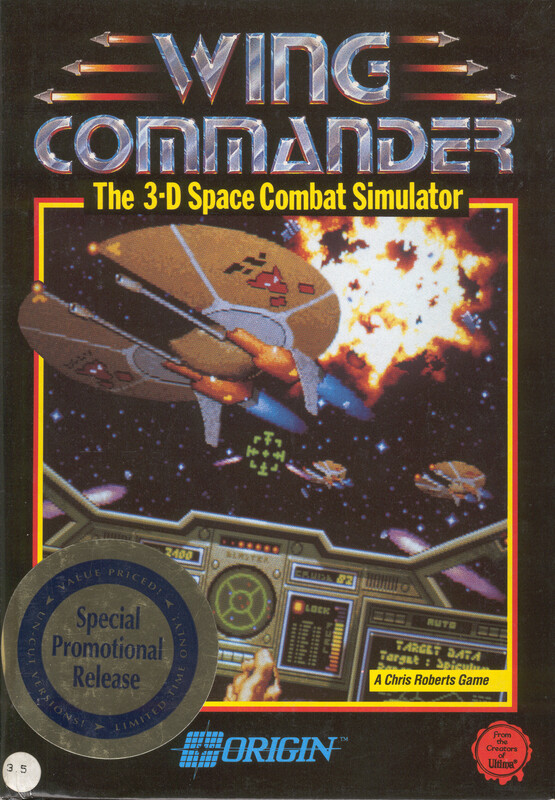 Even in those days it was clear that Wing Commander was going to be a game changer. By the year 2654 AD, mankind has spread throughout his section of the galaxy. Along the way, humanity has come in contact with a handful of sentient races. Soon after first contact, most of these races have proven friendly. 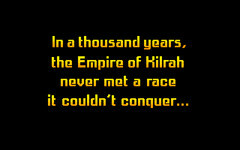 The Kilrathi definitely are not. Click here to download a high resolution scan, courtesy of Joe Garrity and the Origin Museum! Amusing sidenote: "The Fatman" donated his copy of the Squadron proposal to the University of Texas' archive... along with a note for future historians that the brown stains on it were, in fact, ferret pee! 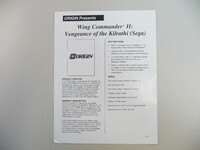 Here you can see the evolution of the Wing Commander 'sell sheet,' which are pages promoting the game sent to retailers. 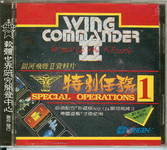 Both the WingLeader and the Wing Commander version were published at different times, and then a combined release for The Secret Missions. Just imagining working with 3D models in DOS on a 286 feels like nails on a chalkboard to me. 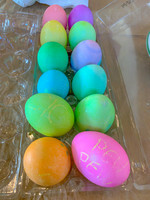 Those early artists had some patience! 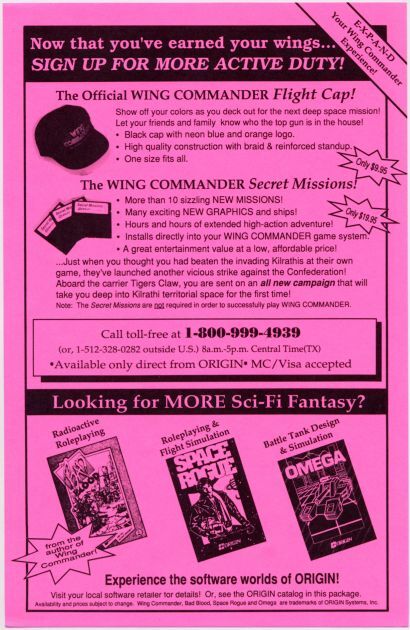 One thing we can announce is that we discovered the names of the outside contractors who did the Wing Commander I Amiga models during the Austin trip--we're trying to track them down now! Here's something you haven't seen before, courtesy of Billy Cain--the original press kit sent to retailers about Wing Commander I! Enjoy these awesome sketches... and even some new continuity! 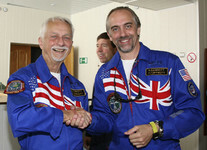 Meet the crew of the TCS Tiger's Claw, the finest carrier at space! You can see them all here. 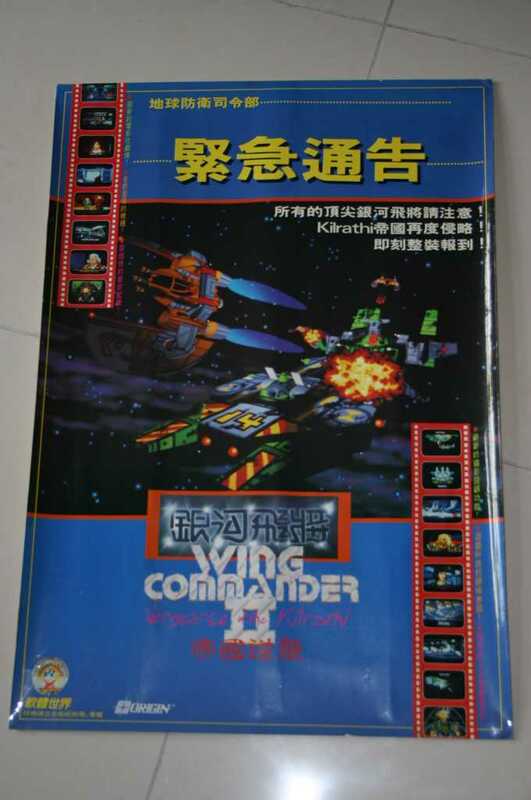 For even more cool interpretations, check out the drawings from Claw Marks, their Super Wing Commander equivalents and even manga-style versions from the SFC manual! 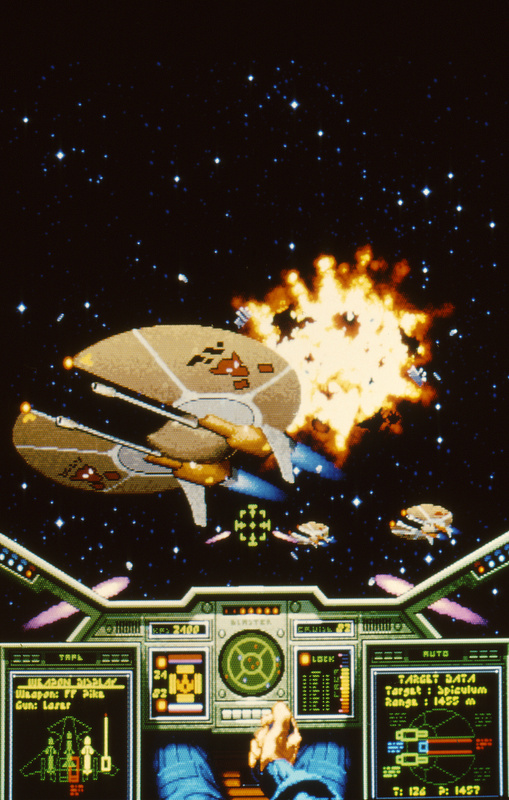 Want to learn more about the impressive array of spacecraft you'll be fighting and defending when you power up Wing Commander I? Check out this cool grid for more information! 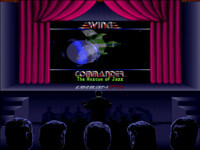 Another one of Wing Commander's endless amazing features was the soundtrack by Dave Govett and The Fatman. Now you can add it to your iPod, thanks to this set of mp3s from the FM Towns version's Redbook audio tracks! 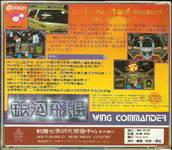 The Wing Commander soudntrack also appeared (in part) on Origin Audio CD Vol. 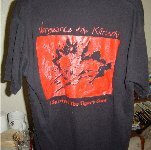 1 and more recently in full on The Fatman's sadly unavailable "Wing One" digital album. 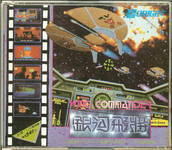 Wing Commander I continued an Origin tradition of including 'feelies' in the box. 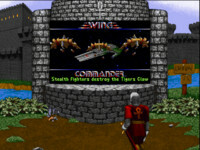 Ultima games would include an ankh or a rune stone, Auto Duel included a tiny tool kit... and Wing Commander I had a set of space fighter blueprints! You can download incredibly high res versions in a pack here (42 meg). 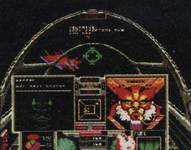 Simply put, Claw Marks is the finest video game manual ever created. 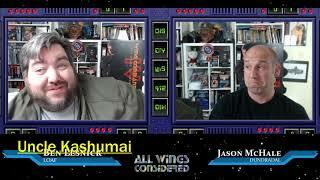 Put together by the great Aaron Allston, Claw Marks is an amazing effort--an immediate door into the world of Wing Commander. You weren't just learning how to play the game, you were holding the Tiger's Claw's shipboard manual! 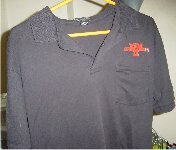 The PDF linked below isn't the best quality, but TC has an excellent online version available. 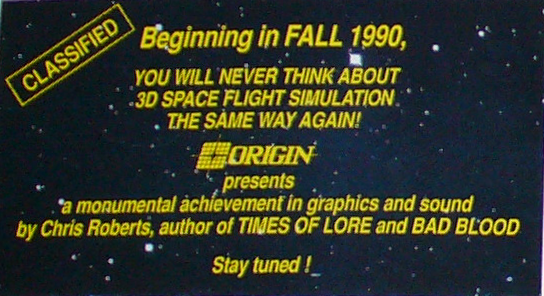 Today, we would probably call this a trailer--but in 1990, it was a world-shaking event. 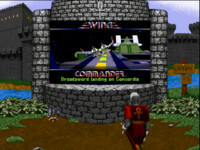 The Wing Commander I demo walks through footage of both the gameplay and the gameflow... and back then it was showing people something they'd never seen before. Today it remains a fascinating artifact--check out all the minor differences between the demo and the (like that Hornet VDU!). Download the demo here (part 1) and here (part 2). You can also find a video of the demo on YouTube. Amiga: The Amiga version of Wing Commander was actually announced alongside the original--but the man in charge of the port became deathly ill and it was delayed almost a year! 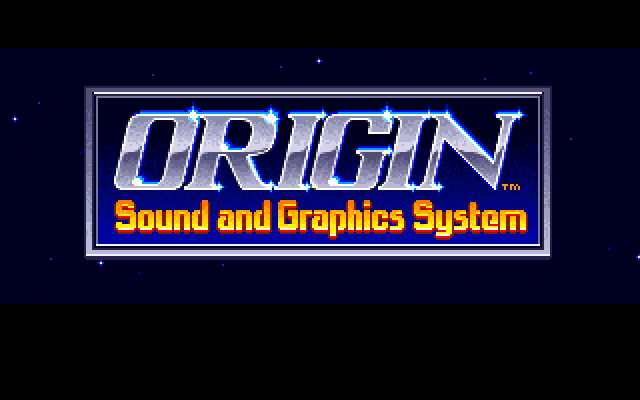 The Amiga version is a competant port with music some consider far superior to the original... but unfortunately it ran sluggishly on the common Amiga 500s of the time. Still, many European Wing Commander fans got into the series through this release! 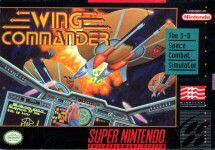 SNES: The Super Nintendo version of Wing Commander was developed under license by Mindscape in 1991-2. The game suffered from reduced colors... but still managed to do an incredible amount with the limited memory of the SNES! 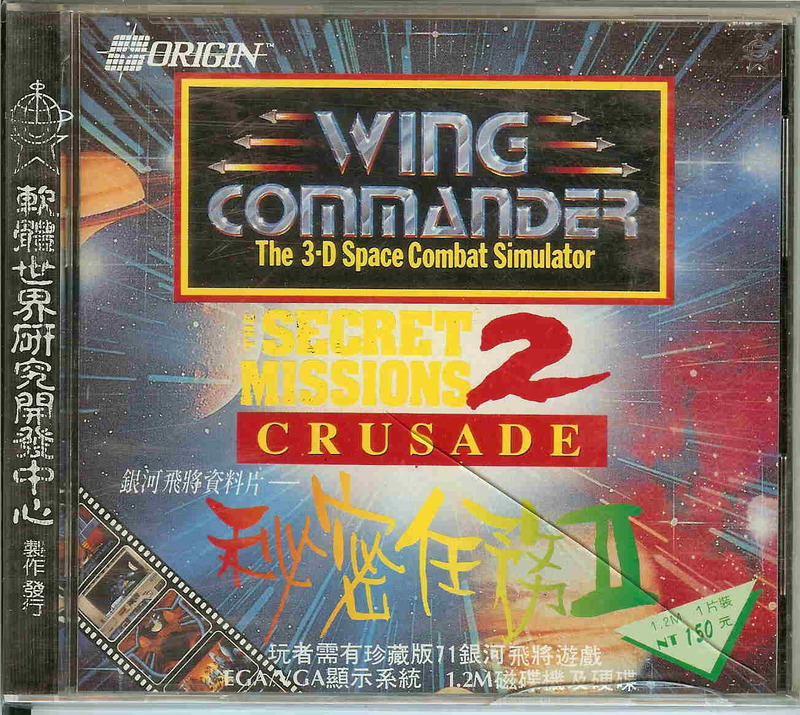 A second cartridge was also released, a stand-alone version of The Secret Missions. Both the US and the Japanese versions of the game have new cover art. 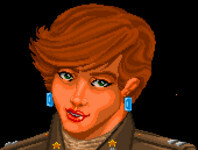 CD-32: The CD-32 version was an uprated edition of the Amiga port, featuring 256-color graphics similar to those in the original game. 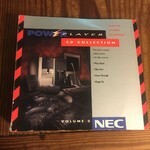 It was bundled alongside "Mean Streats" for the release of the CD32 console. FM Towns: The Japanese FM Towns version of Wing Commander was very similar to the PC release, although it featured Redbook audio tracks of recorded music rather than the original MIDI soundtrack. It also has a beautiful new cover which shows a Fralthi in action! 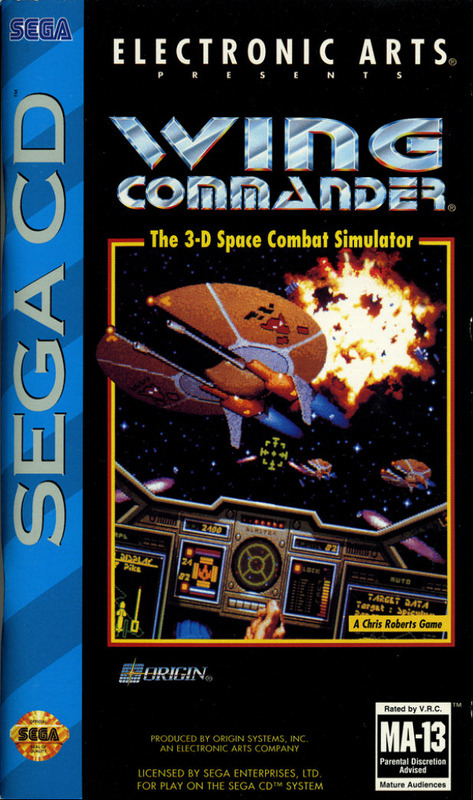 Sega CD: The Sega CD version of Wing Commander I came out in 1994 and was similar to the original, with simplified controls. It is unique, though, in that it featured full speech--all of the game's conversations and taunts were recorded for the first time! 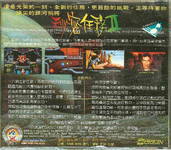 3DO: In 1995, Origin released "Super Wing Commander" for the 3DO, a completely revamped version of Wing Commander I. 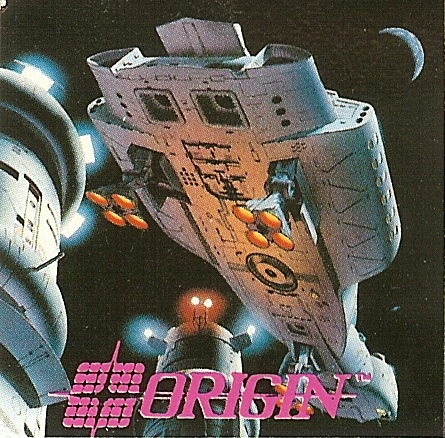 Hoping to introduce the series to a new audience, Origin created new artwork for every portion of the game, much of which confuses existing fans to this day. Macintosh: With the 3DO in decline, Origin ported Super Wing Commander to the Macintosh (PowerPC). Unfortunately, modern Macs do not support the game. 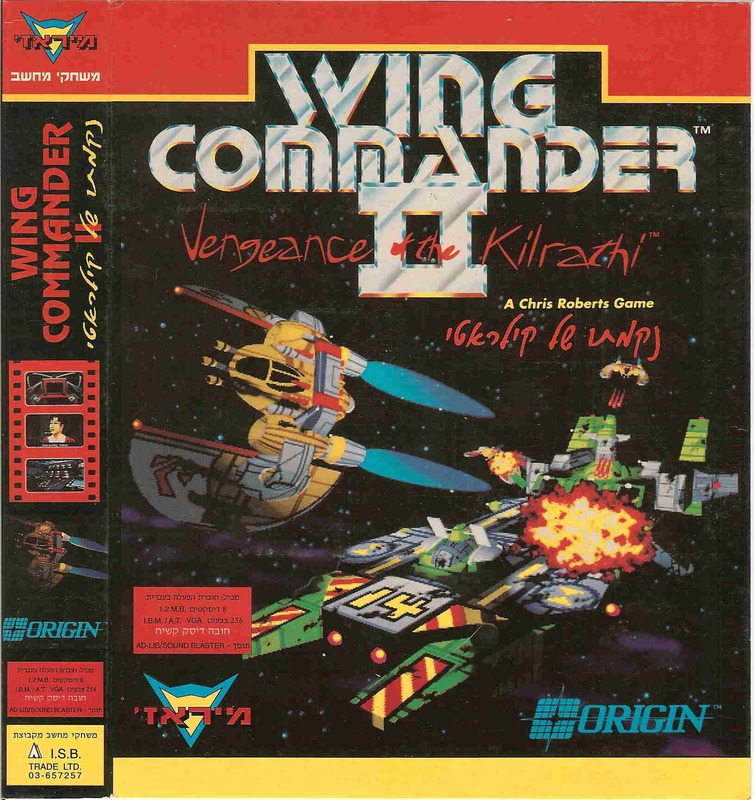 Windows 95: Wing Commander was ported to Windows 95 as part of "The Kilrathi Saga"--it was later separated from that package and released for free through a deal with PC Gamer! GameTap: In 2004, EA licensed several Wing Commander games to GameTap, a digital distribution service. 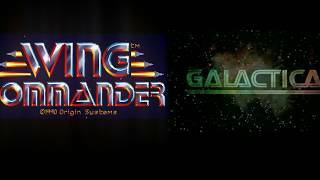 GameTap opted to switch focus away from classic games and unfortunately removed Wing Commander from their service. And when was the last time you heard of GameTap? 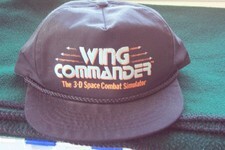 The release of Wing Commander I also saw the first release of promotional Wing Commander I merchandise--specifically, the official Wing Commander "flight cap." The hat was a trucker-style hat with a foam Wing Commander logo printed on it--and you could order it directly from Origin. If you preordered a special package, you got the hat and a copy of the game signed by Chris Roberts! 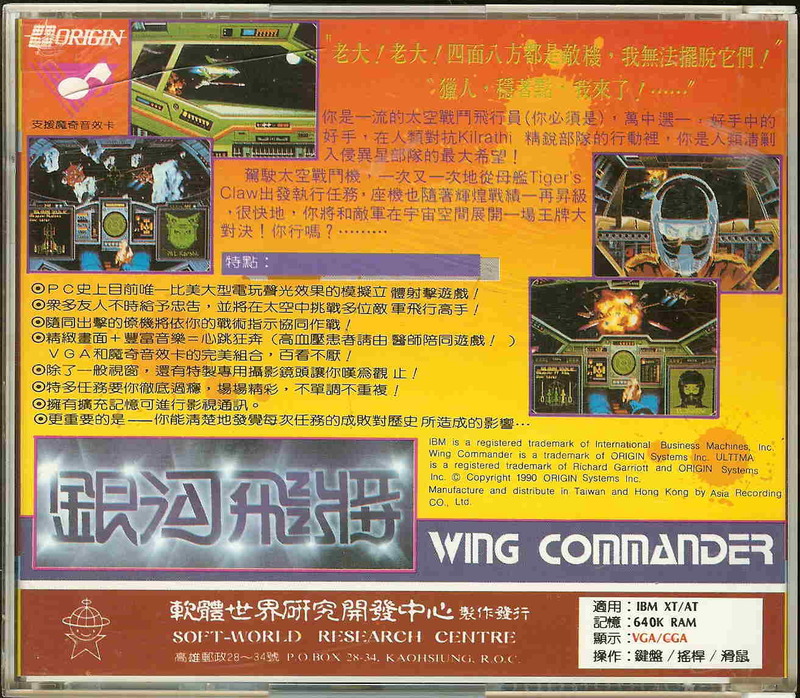 As on Privateer Day, we want to salute the amazing team of people who created the original Wing Commander by listing the credits here. Reading through this is like a whose who of game developers--a truly amazing team. 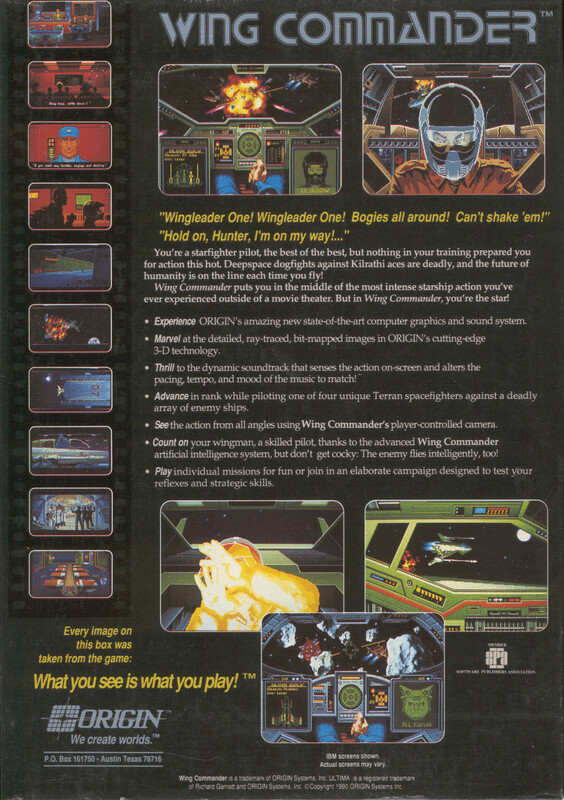 To the best of my knowledge these are the canonical credits for the original Wing Commander--corrections are welcome! 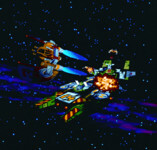 Wing Commander II features yet another iconic image--a Drakhri dive-bombing the TCS Concordia! 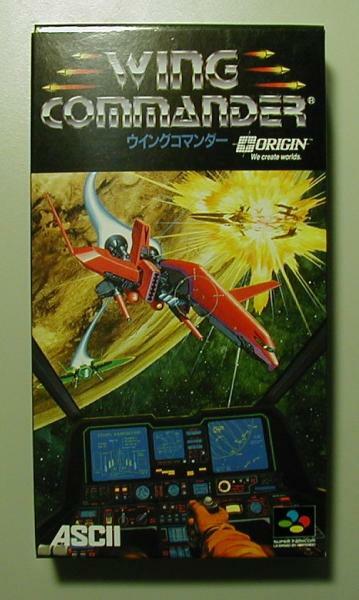 Which, interestingly, can't actually happen in the game--and the carrier's registration number (CVS-14) doesn't match the game itself (CVS-65). 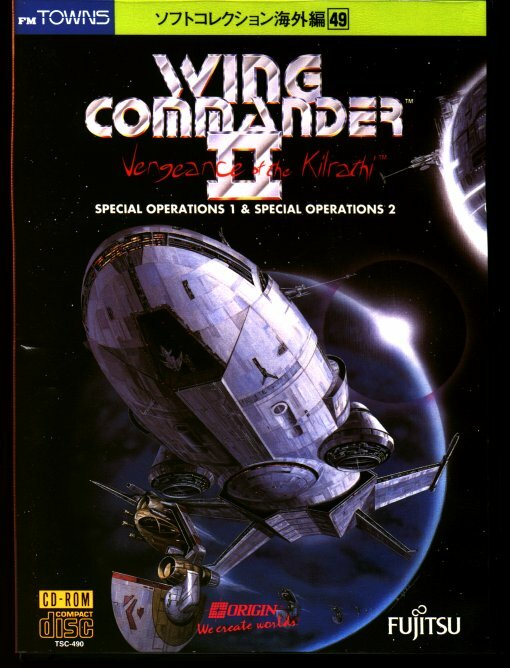 But what care we for such things: it's a brilliant, evocative rendering that immediately introduces you to the bigger scale of Wing Commander II--stepping out of the cockpit and seeing the whole story. 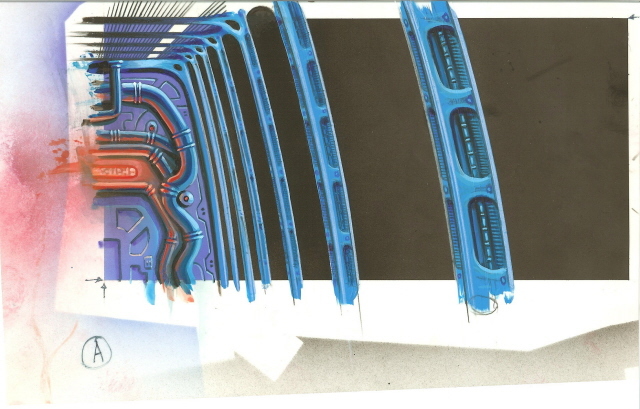 There were fewer sell sheets for Wing Commander II--but you can see an unused mockup of a second version which promoted the undeveloped Genesis port of the game! Following on the heels of the Wing Commander press kit posted earlier, this WC2 press kit updates the information for the entire saga. And it includes yet more cool art not seen in decades! 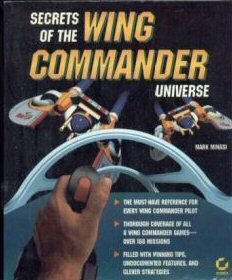 In all honesty, the Wing Commander II manual is something of a letdown after the incredible Claw Marks--but it's certainly worth a second look! At the very least, I now absolutely love the World War II style silhouette images used for the ships (especially because they seem so out of place in space!). We plugged this set on Privateer Day, but it's just as important today: we offer a huge archive of 3D models that includes almost all of the 'source' renderings created for Wing Commander II! So if you want to get a close look at the Broadsword or the Kamekh, download this package (230 megs). 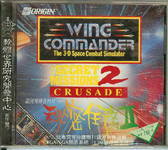 It also includes many of Wing Commander II's "sets" (ie, the Concordia bridge.) 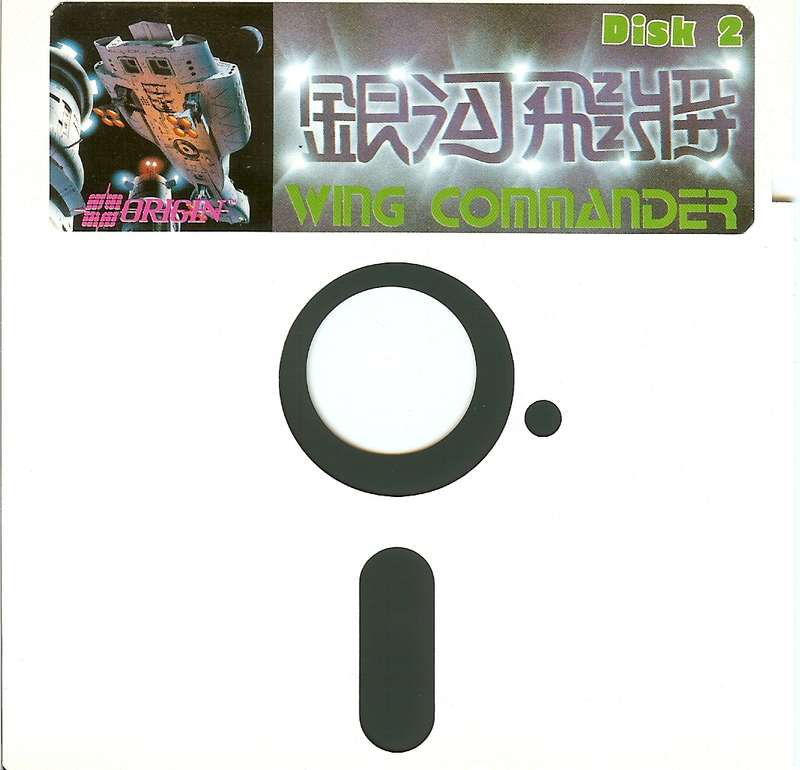 The Wing Commander II ships' filenames are all prefaced with "AN". You've seen the men and women of the Tiger's Claw... now meet the crew of the TCS Concordia, the Confederation's newest dreadnaught! 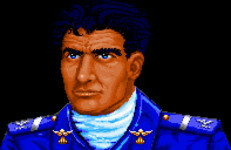 Wing Commander II features not these flying heroes, but also a selection of villains owing to its larger "cinematic" scope. For the first time players would hear Prince Thrakhath and his grandfather plotting against mankind. You can see the entire cast here. 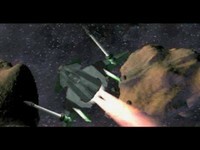 Wing II also used rotoscoping for its cut-scene animations. 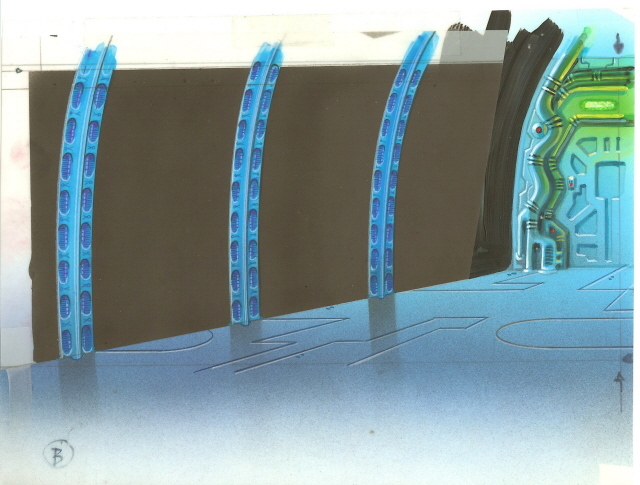 Stephen Beeman recalls, "We used people around the office, filming them with a camcorder, capturing with a really primitive capture card, and painting over the vidcaps in Deluxe Paint, frame by frame. "The best part of the rotoscoping came when we filmed the scene at the end of Wing II, where Angel punches Jazz. Jackie Chapman, one of Origin's marketers, was playing Angel, and we had Chris play Jazz. Needless to say, neither of them was a trained Hollywood stunt person, so when Jackie threw that punch, it didn't breeze past Chris the way we intended - it socked him right in the nose! Naturally, that's the take we used. "The fans should be pleased to know Chris literally put his blood, sweat and tears into that game. The rest of us settled for just the sweat and tears." 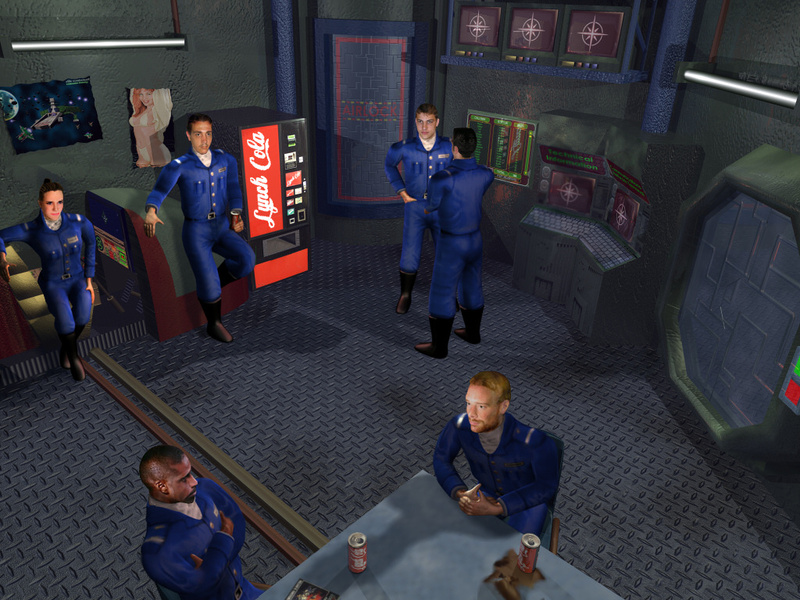 The Wing Commander 2 Demo is an especially impressive affair. 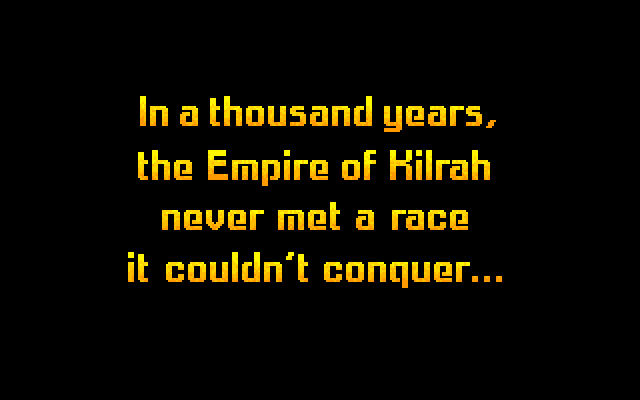 It isn't playable, but it runs through an early version of the game's introduction... complete with early, different, artwork for the Kilrathi palace! 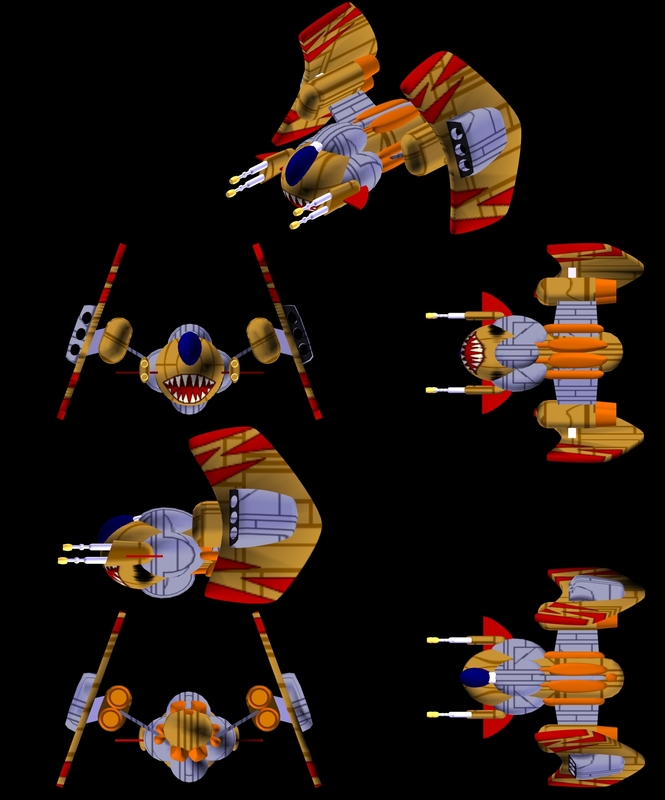 It also features ships in the Wing Commander I engine, including an even earlier version of Thrakhath's Bloodfang fighter. You can download the demo here (2 megs)--run it in DOSBox! There is also a video of the demo available on YouTube. 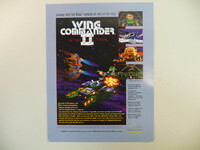 Unlike Wing Commander I, Wing Commander II didn't sell any special merchandise (other than the optional speech pack!) 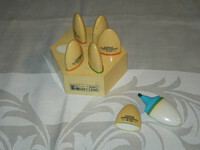 --but there was plenty of promotional swag. Just check out these unusual Wing Commander II highlighters, from the Origin Museum! The cool shirt, which reads "I survived the Tiger's Claw," was given to members of the Wing Commander II development team! 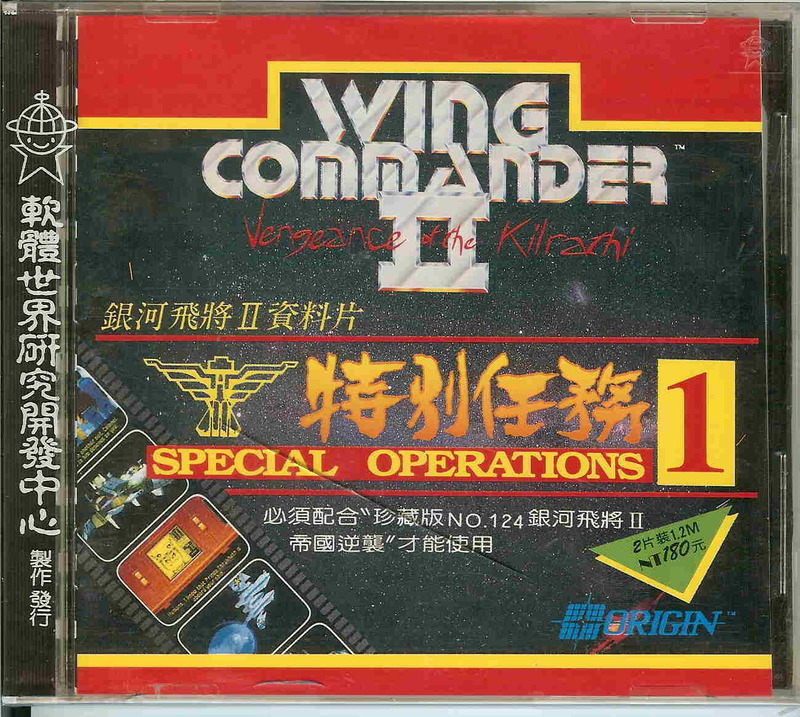 Amazingly, Wing Commander II has only two published ports: the Kilrathi Saga Windows 95 conversion and a rarely seen version developed for the Japanese FM Towns computer! 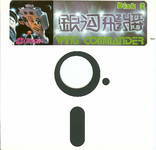 The FM Towns version is CD-ROM based, but unlike Ultima VI it does not have full speech. 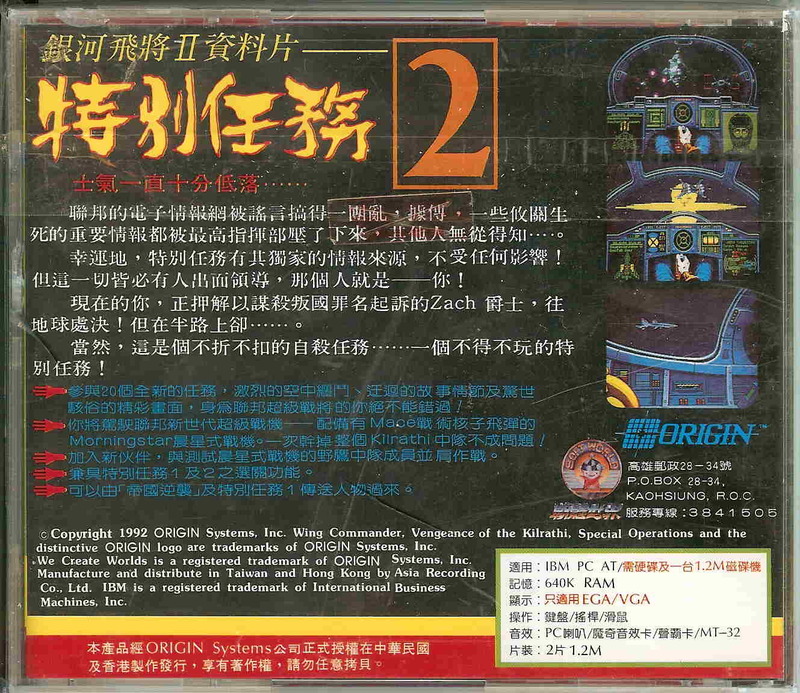 The Redbook audio tracks, which replace the MIDI music, are also less impressive than Wing Commander I--they were recorded with a standard MIDI card instead of an MT-32/LAPC-I. It has one incredible saving grace, though: incredible new box art featuring a Drakhri, a Jalkehi (look closely!) 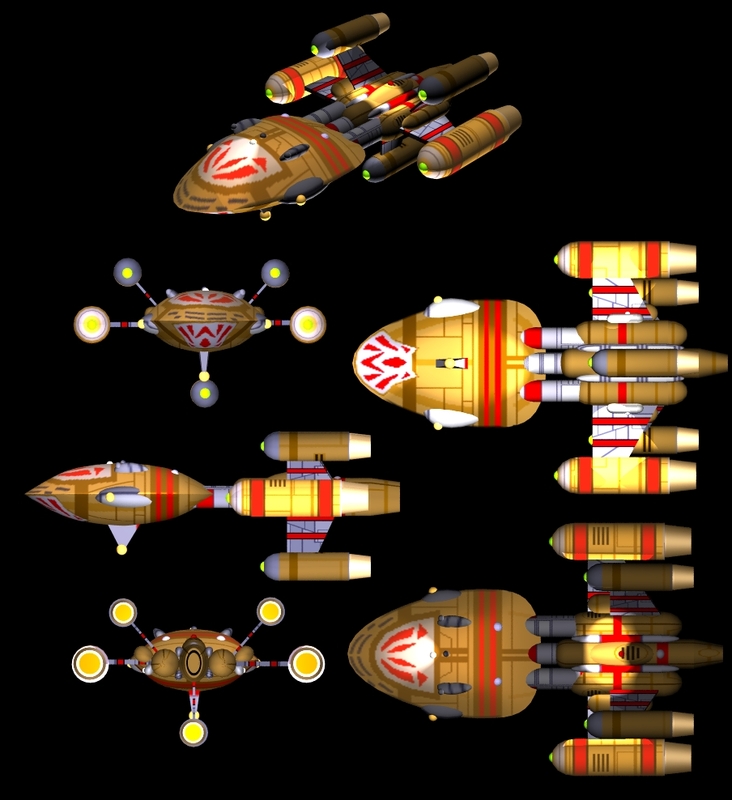 and a unique take on the Fralthra cruiser! 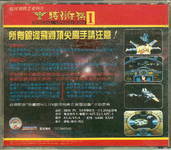 Here are some Chinese Wing Commander II artifacts. 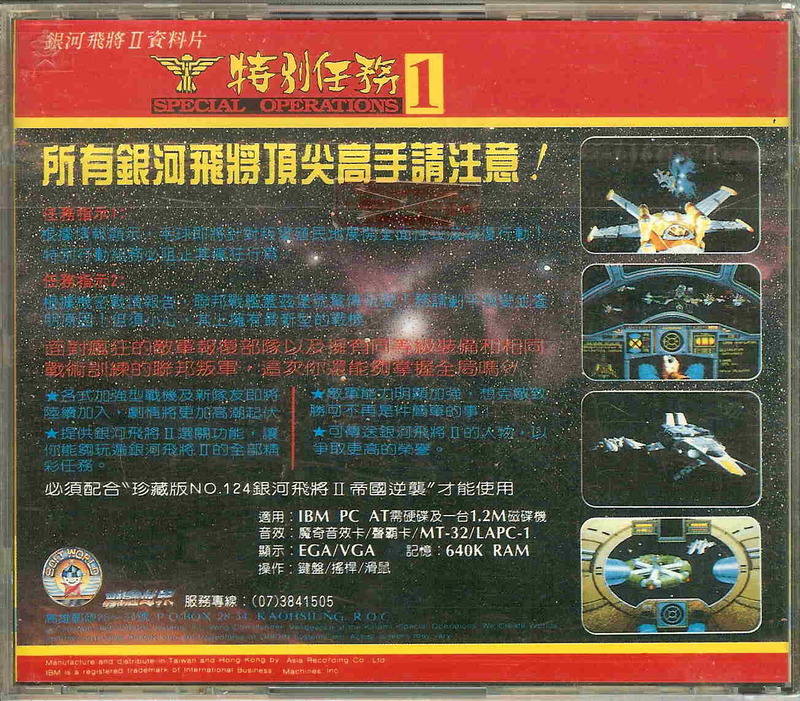 The first image is a Chinese Wing Commander poster, the rest are the box art for the game and its addons as released there! Unreleased ports of Wing Commander II, however, are another story. 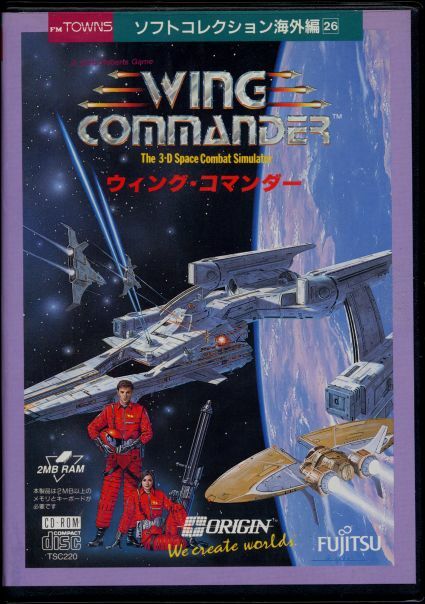 The biggest "holy grail" of the Wing Commander community today is the SNES port of Wing Commander II, which was developed at Origin and shipped off to Pony Canyon in Japan... but never published, due to an unexpected decline in Super Nintendo sales over Christmas 1994. Review copies were even show to magazines--the game is completely done, but no one knows where a copy can be found. 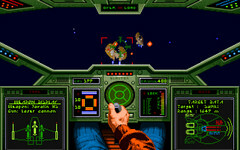 We've set up a WCPedia page for Wing Commander II SNES which collects everything known about the project. Please, pass it along to anyone you know in the SNES community or elsewhere--the game is out there somewhere and we need to find it! Here is the second part of the Ultimate Strategy Guide's 'making of' article. 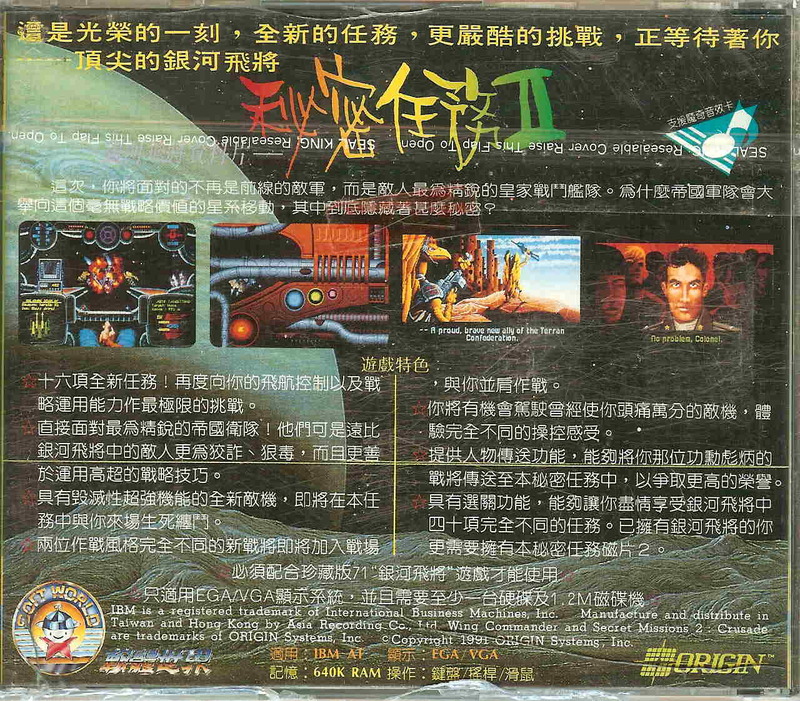 I think the Wing Commander II portion is even more interesting, with all sorts of behind-the-screens images showing how ships were rendered and how the character descriptions appeared in the script. If you're loving Wing Commander II, then you owe it to yourself to make the leap to the greatest fan project ever developed--Wing Commander: Standoff. 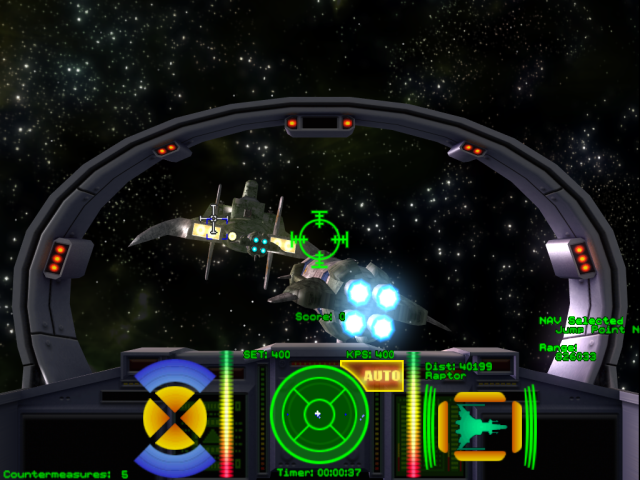 Standoff is a loving tribute to Wing Commander II built on Wing Commander Prophecy's incredible Vision Engine. The look and feel of the classic game has been recreated... and they even have a cameo from one of the original voice actors! 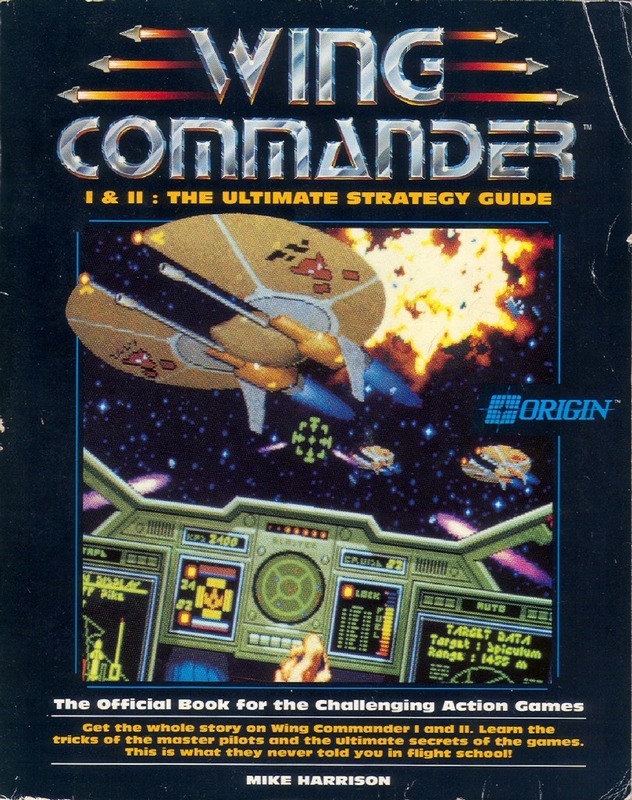 Wing Commander I and II predate the era of 'day and date' hint books; in fact, the guide to Wing Commander I and II is a single book, released after both games had already been released! It's actually written in prose like a novel and contains a great behind-the-screens section detailing the making of the games. 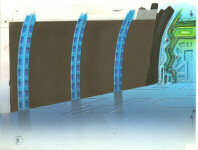 The book was available in English and German, although the German release removes the extensive 'making of' segments. 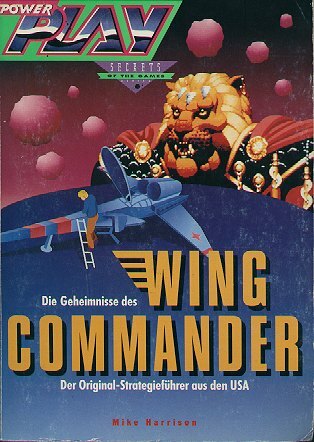 Unofficially, two other books were published--Secrets of the Wing Commander Universe, a comprehensive guide to every game through Privateer, in the United States and another unofficial 'pilot handbook' in Germany. 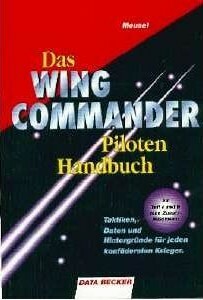 Finally, the first three Wing Commander novels--Freedom Flight, End Run and Fleet Action--are based entirely on concepts introduced in the first games. 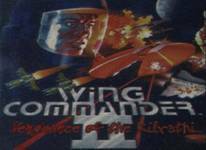 The first two books even ape the Wing Commander I and II covers! 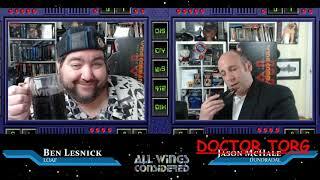 Wing Commander too tough? Want to experiment with other missions? Here are the official cheats, courtesy of the Wing Commander I & II Ultimate Strategy Guide! NOTE: You must include this command. Other options are not enabled unless you include it. 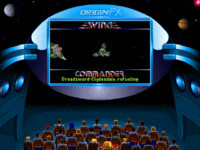 The command must be entered exactly as above, with a spce between the game command and Origin. Origin must be typed with an upper case "O" and lower case "rigin." s1 m1 -- allows you to access a specific mission. The number following s indicates the series The number following m indicates the mission number in the series. You can determine your series number based on the mission trees. 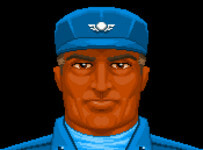 In Wing Commander I and both Secret Missions, the series and missions are represented by a number. 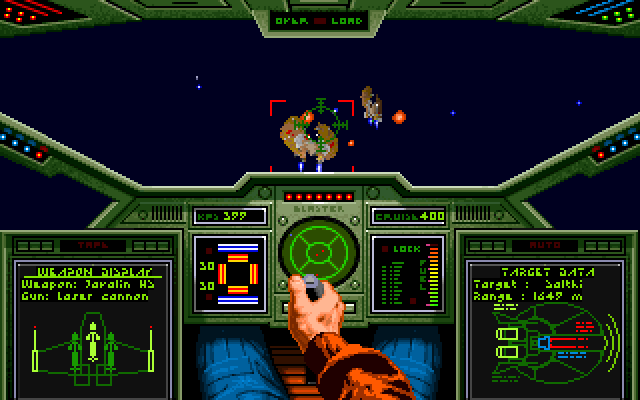 In Wing Commander II, the series is represented by a number, but the mission is represente by a letter (a, b, c, d). 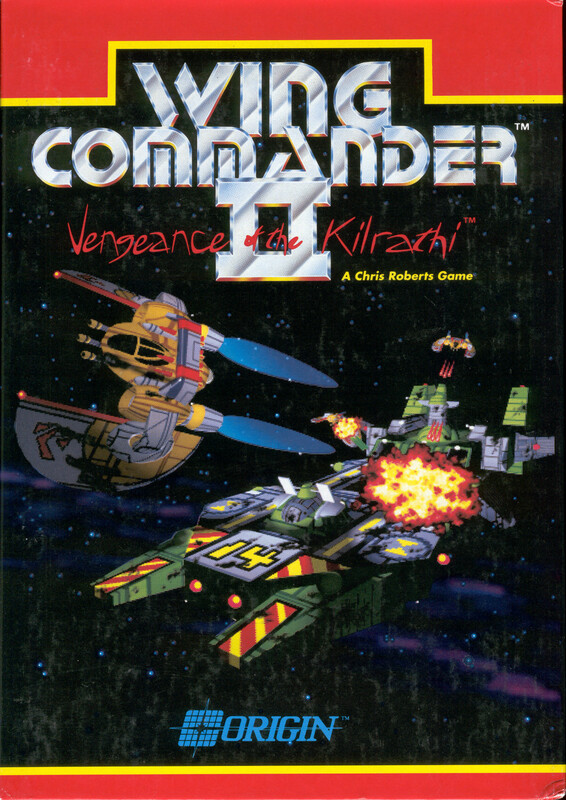 In Wing Commander II, ll of the series except the seventh contain four missions. Series seven has only three missions. 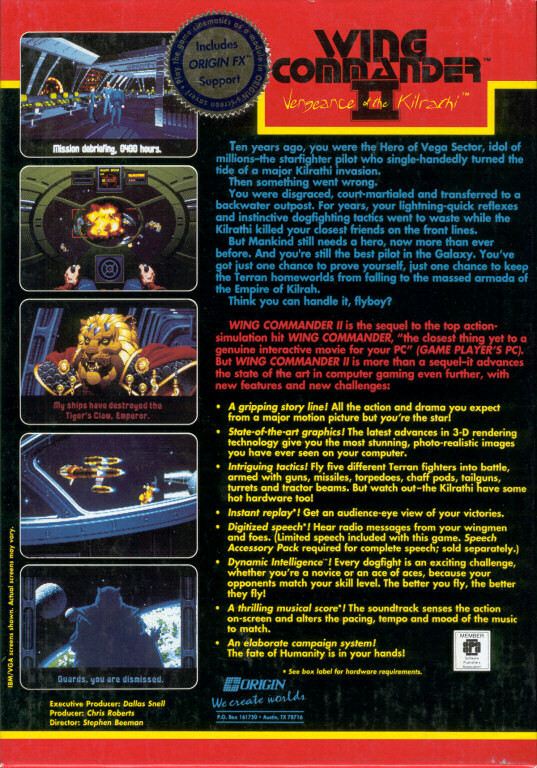 In Wing Commander I, series one contains only two missions. Series 12 and 13 contain four missions each. All other series have three missions in each. 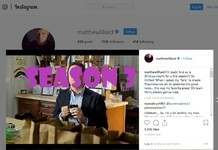 In The Secret Missions, series four and five include three missions in each. All other series have two missions. 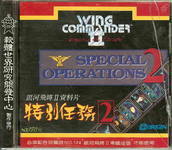 In Secret Missions II, each series contains two missions. 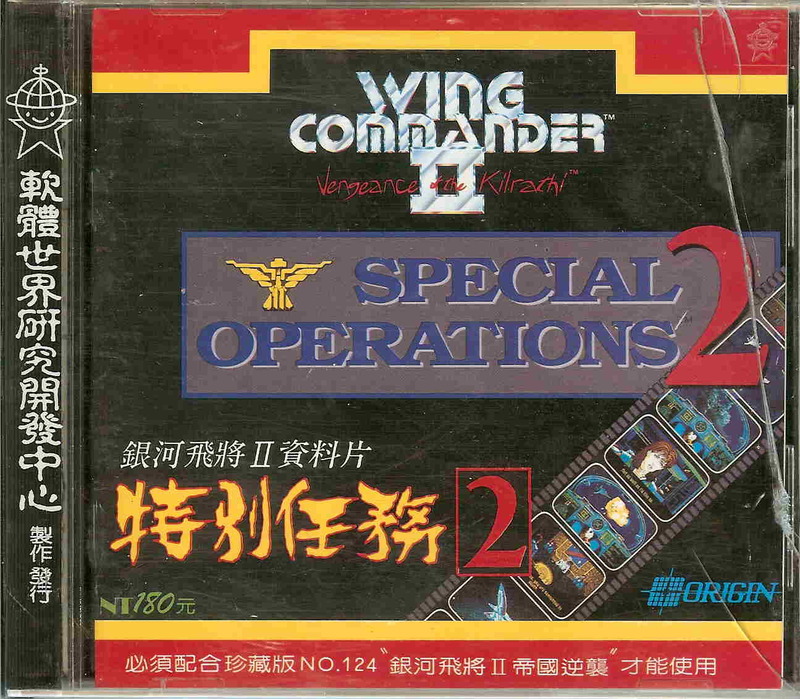 Note: z1 is used at the end of the line to distinguish the first Secret Missions from Wing Commander I.
l (lowercase L) -- allows you to proceed directly to the launch sequence for the selected mission. 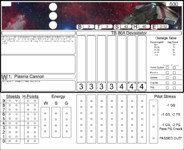 ust type in <space> following your series and mission commands. NOTE: After completing a mission you have accessed using this command option, the program automatically returns you to the DOS prompt. You cannot continue the game. 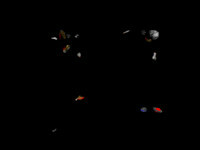 -k (dash and lowercase K) -- makes you invulnerable to damage from guns, missiles, asteroids or mines. Just type in <space>-k following any of the above ptions. NOTE: All of the above options are case sensitive. Everything in the command line, except the "O" in Origin, must be typed in lower case. As with Privateer Day, the early Wing Commanders arriving on GOG are a great excuse to look back at some of the incredible research HCl has done over the years! 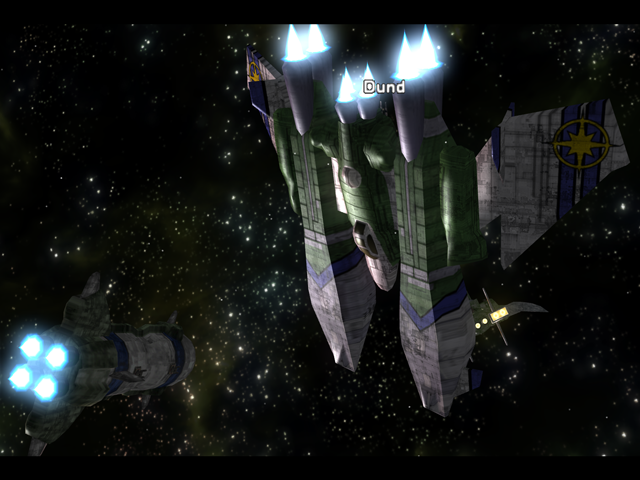 For Wing Commander I, he has figured out exactly how the ship files work. 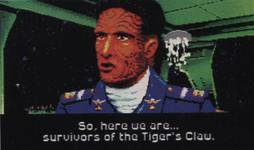 Similarly, he has described the speech encoding in Wing Commander 2. 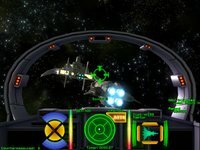 He built a ship viewer for Wing Commander I and another for WC2. ... and proved he could create new missions with a test mission. 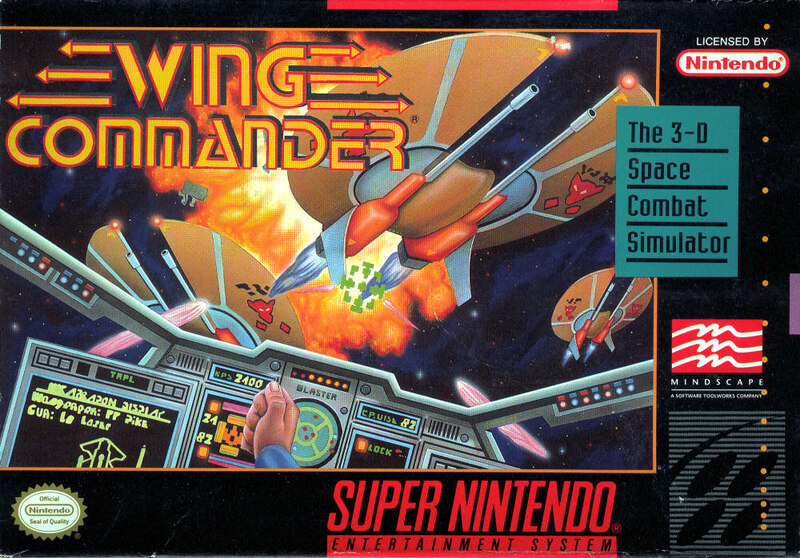 Unfortunately it looks like he doesn't have his Wing Commander 2 missions online anymore--I remember being completely blown away by them when I was nothing more than a kid! One area of WCPedia that has grown in the last year are what we call product landing pages. 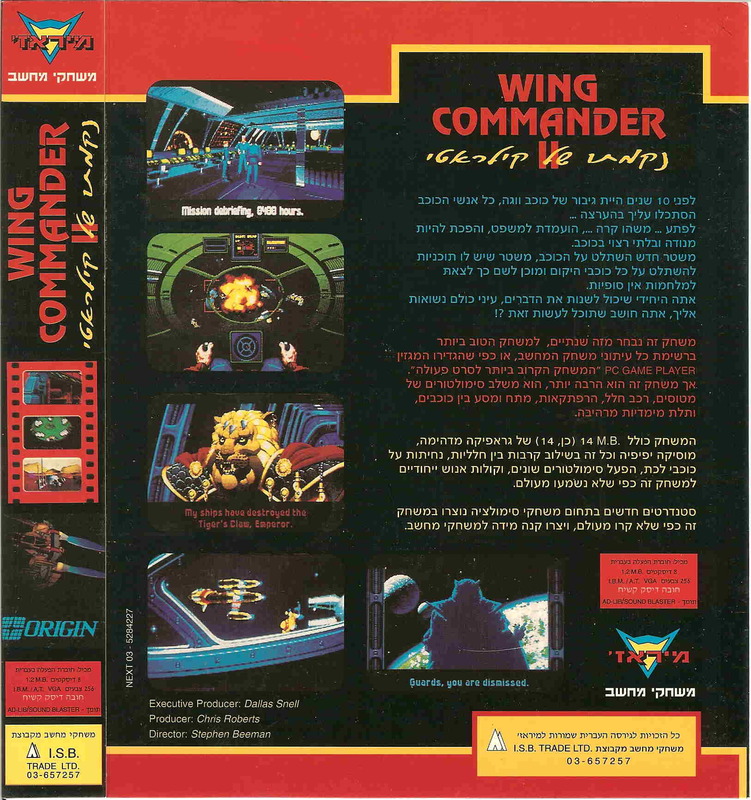 Each Wing Commander product has a landing page that will eventually link to all relevant information and WCPedia articles about that product. 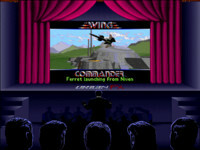 Wing Commander's landing page can be found here. The Wing Commander II: Vengeance of the Kilrathi landing page is located here. Both pages are still works in progress, but already have significant amounts of information on them for wingnuts to explore. Quick and accurate target identification is crucial in combat situations. 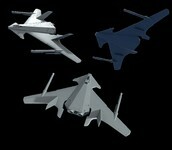 Knowing your enemy and their capabilities can be the difference between life and death for you and your wingmen. For today's special edition of WC vs History we bring you a variety of target silhouettes. The Confederation Class Dreadnaught entered service in the early 2660s. The class is easily identifiable by its distinct "fins" on the rear section of the dreadnaught. The desire for the fighter carrying heavy gun capital ship can be traced back to the first days of naval aviation. The Confederation class is an expression of that desire. 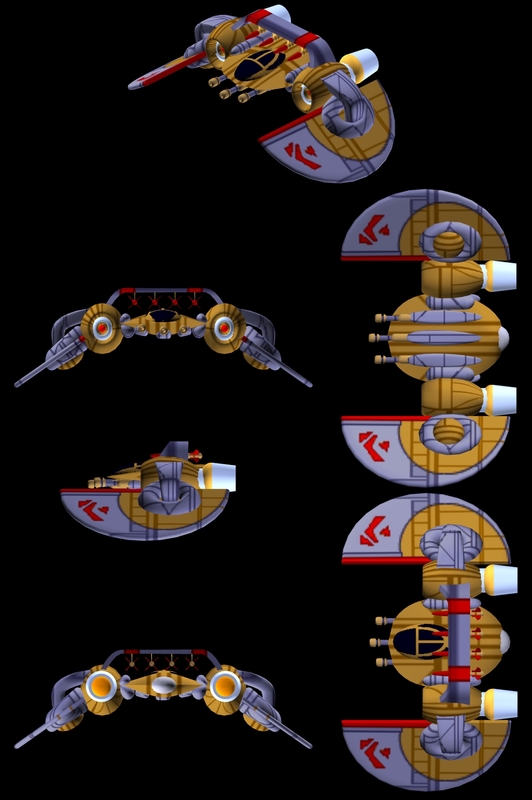 Carrying over 100 fighters and mounting serious anti-ship weapons in its eight anti-matters guns and the Phase Transit Cannon, the Confederation class was a highly desirable target for the Kilrathi to identify and destroy. 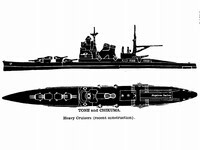 There are only two known ships of the class, the TCS Confederation and TCS Concordia. The TCS Concordia (CVS-65) joined the Fleet in 2661. She fought in many of the major engagements of the last decade of the war including the Second Enigma Campaign and the Battles of Vukar Tag, Sirius, and Earth. She was lost in a rearguard action in the Vespus System in early 2669. Many of the most famous names of the war served onboard the Concordia during her decade long career including Admiral Geoffrey Tolwyn, Colonels Jeannette Devereaux and, future Commodore and greatest hero of the war Christopher Blair, 1st Lieutenant, future Rear Admiral and hero of Tarawa Raid, Jason Bondarevsky, and two of the war’s greatest traitors, Major Zachary Colson and Lt. 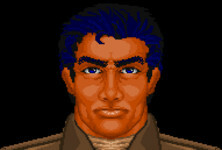 Colonel Ralgha nar Hhallas. The USS Wasp (CV-7) was the product of the interwar arms agreement known as the Washington Naval Treaty. Desiring to squeeze the largest possible air group into the smallest possible space, the USS Wasp was the result. She is the only ship of her class and the basic design is a smaller version of the Yorktown class with modifications that produced serious design flaws. The Wasp joined the Fleet in April 1939 and first served with the Atlantic Fleet in World War II. The Wasp delivered two deckloads of Supermarine Spitfires to the island of Malta in the Mediterranean in April and May 1942. Prior to the second run in May, Prime Minister Winston Churchill was concerned that Malta would be destroyed from the air by German and Italian forces and asked President Franklin Roosevelt if the Wasp could take “another good sting” at delivering the much needed fighters. As the Battle of the Coral Sea was coming to a close in the Pacific, the USS Wasp and HMS Eagle made a reinforcement run towards the island of Malta in what was codenamed Operation Bowery. The two Allied carriers delivered more than 60 Supermarine Spitfire fighters to the besieged island. Following the operation Churchill sent a short and witty message to the ship’s captain and crew: “Many thanks to you all for the timely help. Who said a Wasp couldn't sting twice?" The Wasp joined the Pacific Fleet in the summer of 1942 following the major battles in the Coral Sea in May and the around Midway in June. The Wasp was deployed to the South Pacific where on the seventh of August, the Wasp along with the USS Saratoga (CV-3) and Enterprise (CV-6) provided air support US Marines participating in Operation Watchtower, the invasion of Guadalcanal. The Wasp missed the Battle of the Eastern Solomons on August 24th (Yesterday for those paying attention!) when it was ordered south to refuel by Admiral Fletcher because the Japanese forces had not yet been discovered at the end of the day on August 23rd. The USS Wasp met her end as a result of what can be argued to be the most effective torpedo salvo in the history of warfare in September 1942. The Japanese submarine I-19, patrolling an area that would become known as “Torpedo Alley” because of the number of ships hit transiting it, fired six Type 95, a smaller version of the dreaded Type 93, at the Wasp. Three of the torpedoes struck home on the carrier. They had been noticed by crewmembers too late for any evasive actions to be taken. The torpedoes struck the highly explosive avgas storage and magazines areas of the carrier. The ship quickly burned and 35 minutes after the torpedoes struck home, Captain Forrest Sherman ordered “Abandon Ship.” Six minutes after the Wasp had been hit, the USS O’Brian (DD-145) was struck by one of the remaining three torpedoes fired by I-19. A minute after the O’Brian was struck the USS North Carolina (BB-55) took one of the remaining torpedoes. It was over 7 miles away from the Wasp when it was it! Both the Wasp and O’Brian would sink while the North Carolina would be out of the war for several months as she was repaired and upgraded before returning to the South Pacific. 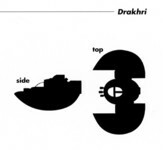 More than one Confederation pilot has mistaken a Drakhri for a one of the Dralthi family of fighters and a Dralthi for Drakhri. While the two fighters look very similar because of their large semicircle wings the fighters have some significant differences.. 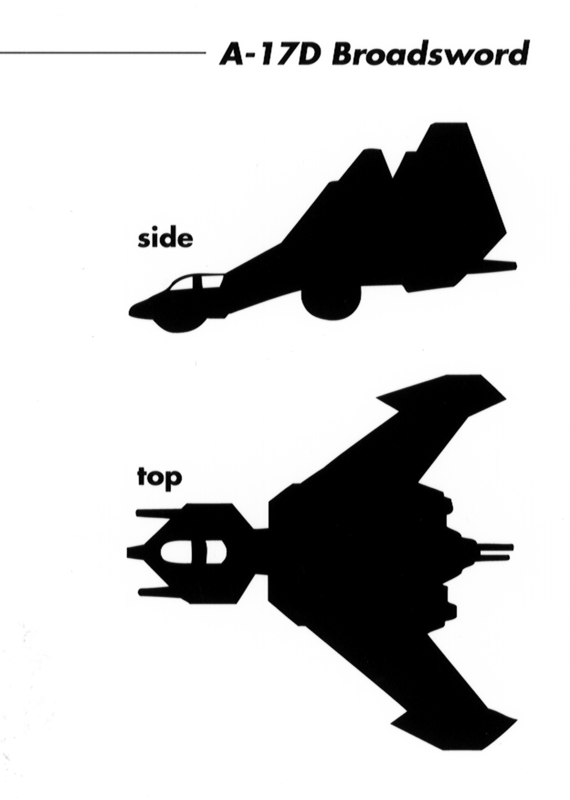 The way a pilot can distinguish the two fighters is by looking for the over-the-cockpit missile rack. Only the Drakhri and the late-war model Dralthi VII use this configuration. The Mitsubishi A6M “Zero” fighter was Japan’s premier and longest-serving fighter of World War II. It was designed to outrange and outfly any potential opponent which for the first year of the war it did extremely well. 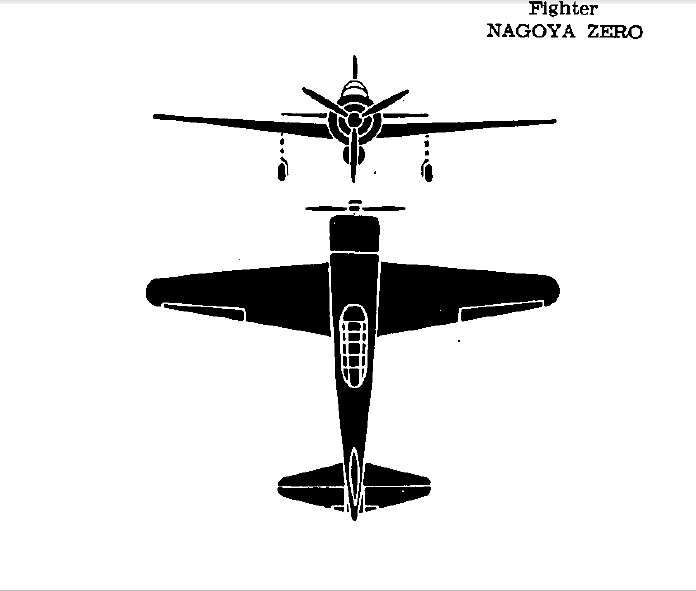 The Zero is identifiable by its rounded wingtips and distinct engine cowling. Often called one of the beautiful aircraft, its beauty hides its inherent weaknesses in lacking armor of almost any kind and self-sealing fuel tanks in order to save on weight. The difficulty the Japanese had in producing high quality aircraft engines meant they had to get savings anywhere they could. 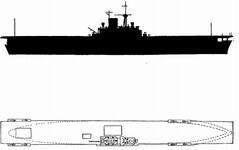 The armament of the Zero, while formidable on paper was truly only as good as the number of 20 mm cannon rounds remaining. The 7.7 mm machine gun rounds typically did not pack enough punch to take down more ruggedly built American aircraft. 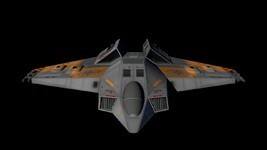 The A-17 Broadsword was the standard Confederation bomber throughout the Terran-Kilrathi War. Every variant of this bomber carried multiple large anti-ship torpedoes and a formidable defensive armament. The three turrets found on later models were able to repulse multiple incoming attacks and allow more time for the pilot to complete the attack run. Even a single torpedo hit can be devastating to a capital ship. The Broadsword is easily identifiable by its large size, at 36 meters in length, it’s not difficult to spot the Broadswords among a force of Confederation fighters. The distinct wings and vertical surfaces also lend to easy identification. The Boeing B-17 “Flying Fortress” was designed and used as a strategic bomber by the US Army Air Corps in all theaters of the Second World War. Carrying more than a dozen .50 caliber machine guns and having a range of more than 1,500 miles, early air power enthusiasts thought that bombers like the B-17 could win wars by themselves. 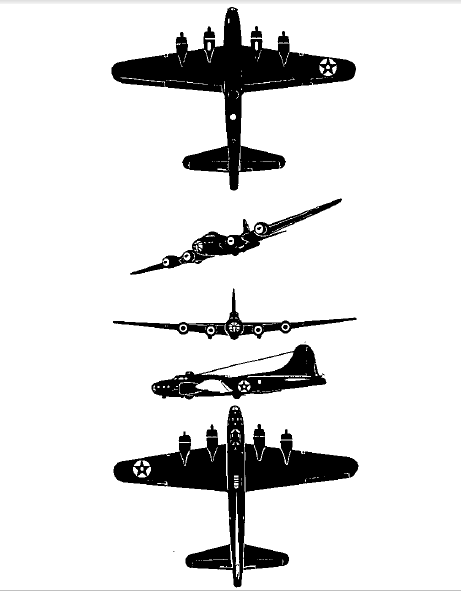 The B-17 can be identified by its distinct nose section and large curved vertical tail. 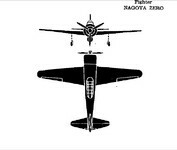 Later models had an additional chin turret to thwart head-on attacks that German pilots preferred because they discovered the lack of machine gun cover in that direction. The Fralthra class cruiser was a Kilrathi heavy cruiser that saw combat in the Vega Campaign. It was a Fralthra that destroyed the famed TCS Beowulf. 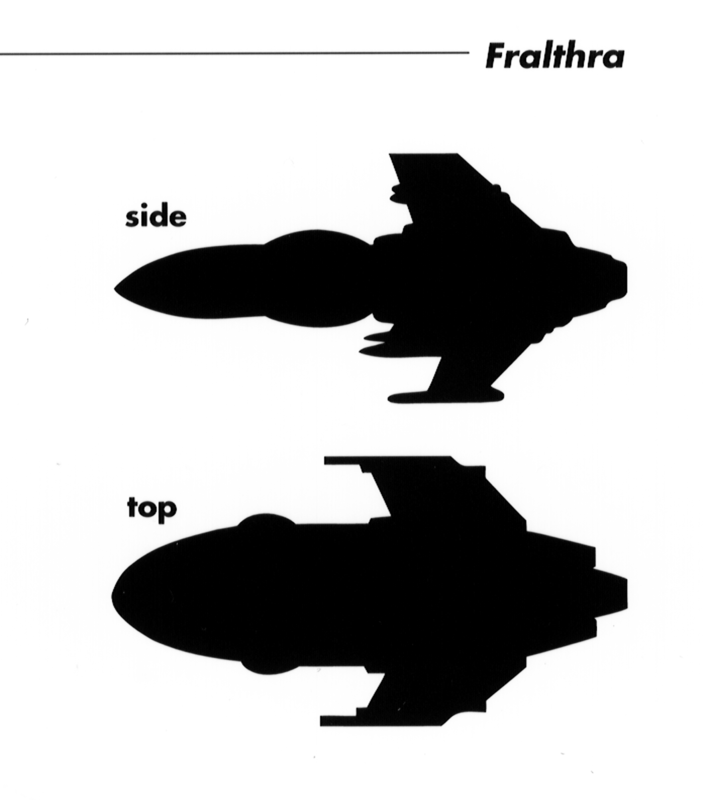 Fralthra often served as the center of carrier groups because of their large fighter complements. Multiple carrier groups formed around Fralthra were part of the 2667 attack on Ghorah Khar and Olympus. Fralthra are capable of operating even heavy fighters, with Jalkehi heaving been observed operating off of them. 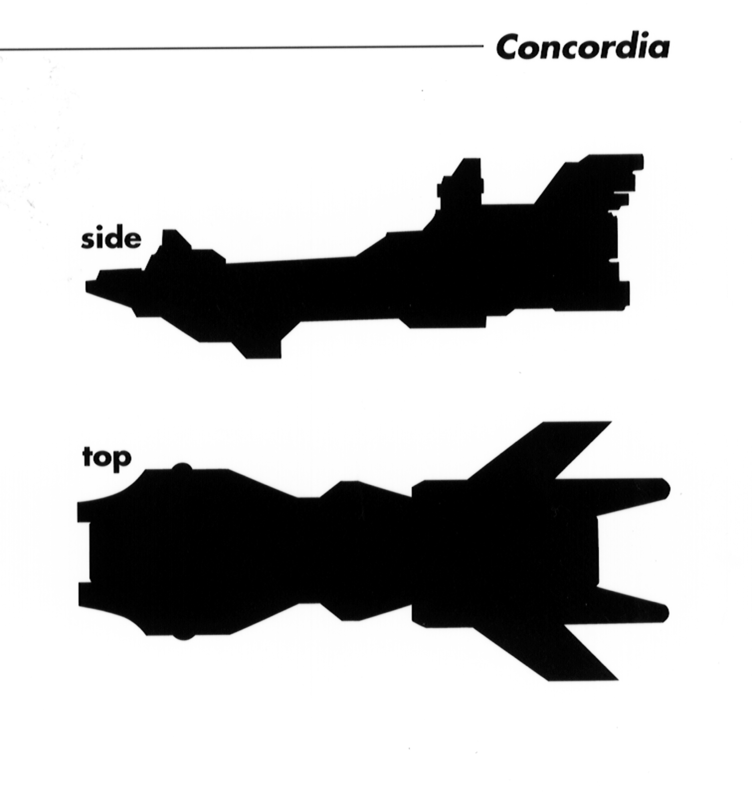 Possessing a similar silhouette with the Kamekh class corvette some pilots have been known to confuse the Fralthra and Kamekh, once even the TCS Concordia (CVS-65) made the mistake! 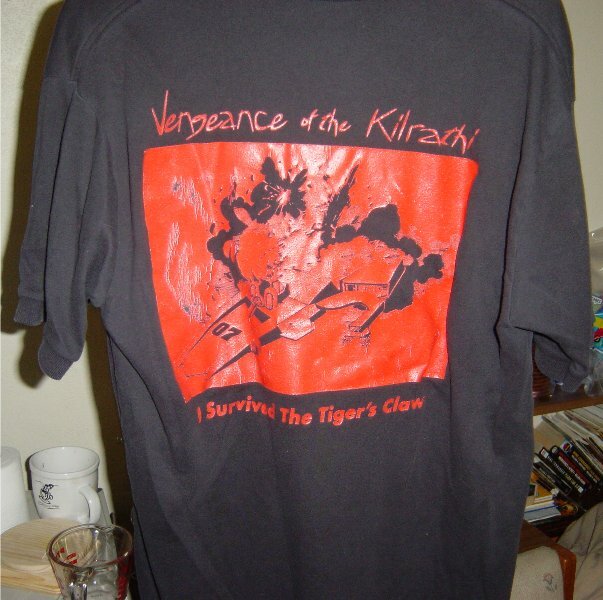 Their designs are actually atypical for Kilrathi, lacking most of the “knife edge” aspects. Combined assaults are necessary to engage a Fralthra, the TCSNA's updated simulator program doesn't even allow students to roleplay single wing missions against Fralthra. The Japanese Tone class heavy cruisers were the last two heavy cruisers built for the Imperial Japanese Navy. 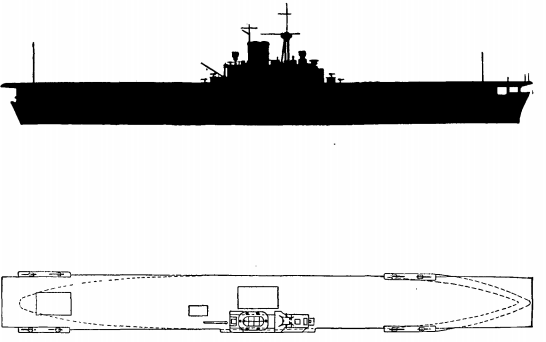 The Tone class were to be the long range eyes of the fleet through extensive use of multiple floatplanes stored on the cruisers. 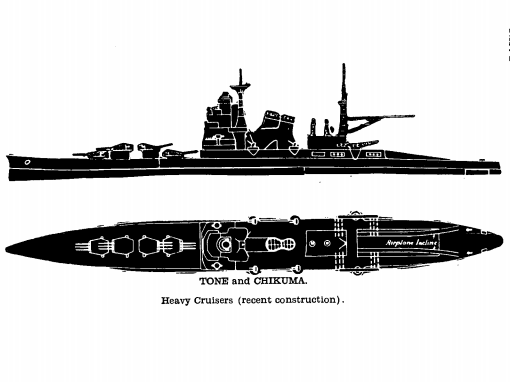 Originally designed as members of the Mogami class, when serious faults were discovered in the original designs the Tone class was the result. The most distinct feature of the Tone class was the fact that all four of its main turrets were mounted in front of the bridge, the rear of the ship being utilized for the expanding flight operations. The Tone had a long and mixed combat career, however its most famous moment came during the Battle of Midway when early on the morning of June 4. The Tone was to launch several floatplanes to search areas to the northwest of Midway. The scout plane known as Tone #4 was late in taking off due to unknown reasons. Not only was it late in launching, the scout plane most likely later flew directly over the American carriers groups but did not spot them immediately. The spotting report was then delayed for unknown reasons on the Tone before being passed to Admiral Nagumo on the Agaki. The Tone itself would be sunk by American forces at Kure in July 1945.